After years of Development Hell and problems with casting, budgets, and script, it sounds like Hollywood's Akira is getting cancelled. Again. 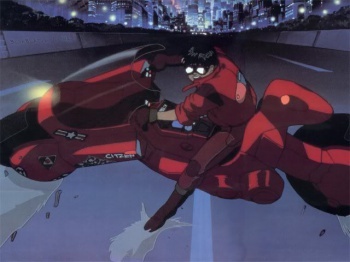 Remember the live-action adaptation of Akira? The movie that was supposed to be a two-film epic? The project that the director left? That Jaume Collet-Serra got attached to because he can make horror movies cheaply? The movie that Warner Bros. officially greenlit back in October? Yeah, it's just been cancelled again, and this time it sounds like a pretty definite thing. The project, which has been through several incarnations, is being shut down in the face of casting, script and budget issues. The production offices in Vancouver are being closed, with below-the-line talent and crew told to stop working. "Everybody is being sent home," according to an insider. Reportedly, Collet-Serra is sitting down with the film's producers to see if they can resolve some of these issues by re-tooling the script. However, if things aren't fixed within a couple of weeks, the movie is apparently going to be sent back to Development Hell where it will (theoretically) rot for another decade or so. From the sound of things, getting cancelled may be the best thing that can happen to Akira at this point. Rumors state that Collet-Serra needs to bring the production budget down to $60-70 million, which is even further down from the already-reduced budget of $90 million that the production had at the time of official greenlighting. Even if Warner Bros. does wind up making a live-action adaptation of the anime hit, would you really want to see something that had been so whittled down?